This is our second post on the The Düsseldorf School of Photography and its market. Please, also read our first post here. Moving forward with our analysis on the DSP and its market, we today will explore the Bechers and their artistic career. The photos are taken with a technical camera, early in the morning, on overcast days, so as to eliminate shadow and distribute light evenly. The subject is centred and frontally framed, its parallel lines set on a plane as close to an architectural elevation as possible. [..] Not a mood is conveyed in the image, not the slightest touch of fantasy disturbs its ascetic neutrality. The Bechers would describe that these subjects were “anonymous sculptures” and that “their special qualities emerge, not despite but because of the absence of design” in their own words. 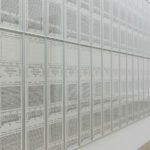 To emphasis this anonymous quality to their photographs, the Bechers adopted a display in the form of grids, where in groups of six to twenty four their subjects where organised by their use. 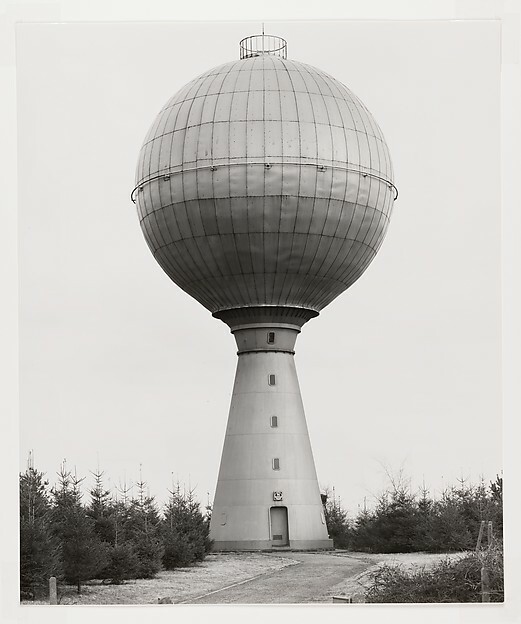 Two key exhibitions marked the consolidation of the Becher’s career, the first being the 1969’s solo exhibition at the Düsseldorf Kunstakademie called ‘Anonymous Sculptures’ and the 1975 group exhibition ‘New Topographics: Photographs of a Man-Altered Landscape’ in New York. The Bechers influence on their students was beyond the class room, their own recognition in a growing contemporary German art market would represent to their students that there was a market for their individual art practices, and this practice was already recognised as fine art. The German art market was, sozusagen, ready for them. This influence will be further explored, but we can start noticing this influence in the artwork that illustrates our article by Thomas Struth, besides being aesthetic very similar to Becher’s works, here Struth also embraces the relationship between foreground and background and all the architecture elements that take over the composition. This will also be further explored by Struth in his famous museum series, that we will also explore very soon.